The final round of the Red Bull GRC season takes place this coming Wednesday November 4th at SEMA and will be shown live via RedBull.tv. If it is anything like last year, the coverage should be as good if not better than the NBC TV program. The championship is pretty much between the two Andretti Autosport Volkswagen Super Bettles of Scott Speed and Tanner Foust. The two teammates had amazing comeback performances seeing both of them on the podium in all of the last 4 rounds while former championship leader Ken Block saw his season crumble with multiple DNFs. We discussed our opinions of the track on our most recent podcast. Turns 1 and 2 look a bit dicey, but otherwise the circuit looks really good. The joker in this one will be an interesting challenge as the longer the drivers wait to take it, the more dirt (sandy dirt at that) will likely get thrown onto it. It should be a great battle to watch! For the second consecutive year, the crowning of the Red Bull Global Rallycross champion will be streamed live and worldwide online via Red Bull TV. 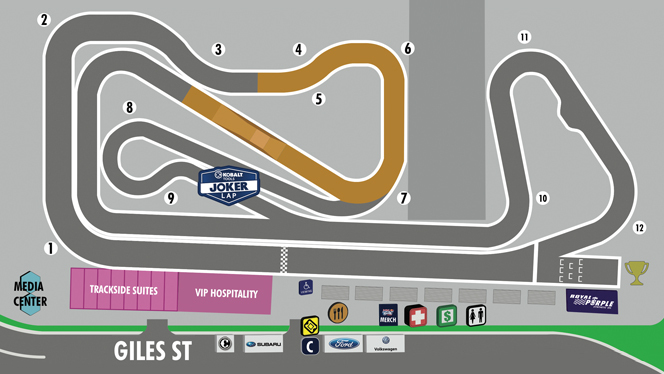 The 2015 Red Bull GRC season finale, to take place on the Las Vegas Strip, will be shown starting at 7PM PT/10PM ET on Wednesday, November 4. Toby Moody and Ricky Johnson will call the race from the booth, with Will Christien in the pits. Both the Supercar and GRC Lites championships will be up for grabs in Las Vegas, with a pair of teammates leading each championship chase. Volkswagen Andretti Rallycross teammates Scott Speed and Tanner Foust have won each of the past four Supercar races and enter the finale going up against one another for the crown, while Olsbergs MSE teammates Austin Cindric and Oliver Eriksson will attempt to hold off Dreyer & Reinbold Racing’s Miles Maroney to settle the GRC Lites championship amongst themselves. Last year’s Supercar finale in Las Vegas saw Ken Block win the race, but points leader Joni Wiman clinched the championship by a single finishing position by placing second in the main event. Subaru Rally Team USA driver and fan favorite Bucky Lasek completed the podium. Red Bull Global Rallycross Las Vegas will also be broadcast on the NBC family of networks. The Supercar action will be shown on Sunday, November 8 at 6:30PM ET/3:30PM PT on NBCSN, while GRC Lites racing will air on Wednesday, November 11 at 4PM ET/1PM PT. Red Bull TV is global entertainment for viewers seeking inspiration. Enjoy exclusive access to live sports events, the world’s top music festivals, authentic films and original series. Accessible via the web at www.redbull.tv and its Android, iOS and Windows Phone applications, Red Bull TV is also available as a pre-installed channel on Apple TV and Samsung Smart TVs and as a free, downloadable app on Amazon Fire TV, Kindle Fire, Chromecast, Nexus Player, Roku Players, Roku TV models, Xbox 360 and Sony BRAVIA TVs, Blu-Ray players and PlayStation®4 (PS4TM) and PlayStation®3 (PS3TM).